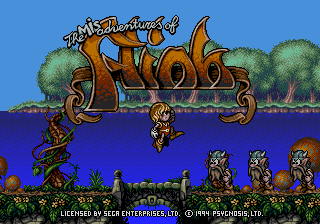 The Misadventures of Flink, or simply Flink is a Sega Mega Drive and Sega Mega-CD platform game. There was a North American Mega Drive version planned, but it was scrapped. A working title for this game was Troll. Flink is a side-scrolling platform game similar to the likes of Super Mario Bros. 3. Enemies are defeated by jumping on their heads or by sliding down slopes, and objects can be picked up and thrown. The Mega Drive and Mega-CD versions are identical, save for some changes to the in-game credits, a CD audio soundtrack and two additional languages in the latter not present in the cartridge version (Spanish and Dutch). Main article: The Misadventures of Flink/Magazine articles.